The more you do to get ready for your baby now, the less overwhelming it will be after he is born. It is common in the second trimester for future moms to feel uncomfortable. The baby has grown so much that there’s not much room left for mom’s own organs. This may cause indigestion, vomiting, cramps, backaches, swollen feet, constipation, and trouble sleeping. Future dads often feel these sympathetic discomforts, too! Your second trimester prenatal visits! 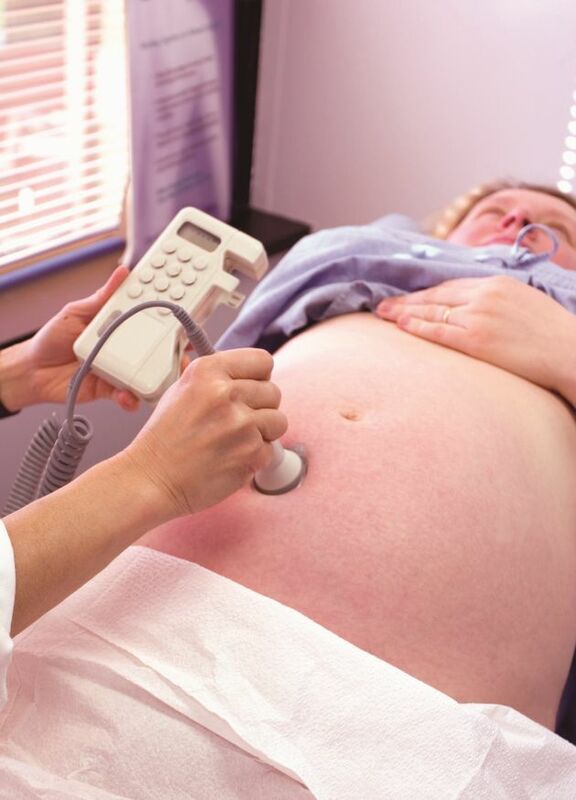 Your health care provider will track your baby’s growth, listen to your baby’s heartbeat, and assess fetal movement. You might be also offered various prenatal tests: genetic blood test to screen for genetic or chromosomal conditions, fetal ultrasound, blood tests for iron level and screen for blood glucose, and urine tests. Don’t forget to check with your dentist on your oral health. It is common for partners to feel nervous or left out during pregnancy. Both parents are preparing for a major new life role and added responsibilities — but during the pregnancy, the focus is on the mom-to-be. Later on, the focus is on the new baby. You may feel your partner’s focus on her changing body as a rejection of you. Right now, your partner really needs you. Pregnant women may feel insecure and vulnerable, making it a perfect time for a partner to be supportive and loving. It’s important for couples to share their feelings with each other and for partners to involve themselves as much as possible. This will make for greater family closeness, even before the baby comes. Manage stress by cutting down on household chores. You might want to ask friends or relatives to help around the house, especially with baby chores such as getting the nursery together or reorganizing rooms. Do something for yourself. Pamper yourself by getting a new haircut or sign up for a prenatal yoga class. You need to stay in high spirits during your pregnancy, so remember to do something special just for yourself. Talk about it. If you feel overwhelmed or stressed, talk with your partner about your thoughts and feelings. By talking, you will find ways to lessen your stress. Talking with a professional counselor might also help. Breastfeeding is the best form of nutrition for your baby. Providing your milk for your baby immediately after giving birth is the foundation of your baby’s strong immune system, builds a strong relationship with your baby, and can be a source of happiness for you and your family. Formula is prepared from cow’s milk and should be used if needed. Whether you choose breast or bottle, a close bond between parents and baby can develop if you hold and cuddle your baby during feeding. Your baby can thrive whichever method you use. The American Academy of Pediatrics highly recommend exclusive breastfeeding (without any supplementation) for the first six months and continuation of breastfeeding with introducing complementary food until 12 months. Decreased costs associated with purchasing formula (~$1500 per year). If 90% of US mothers would comply with the recommendation to breastfeed exclusively for 6 months, there would be a savings of $13 billion per year. Hospitals often offer breastfeeding classes, support groups, and consults. Check with your hospital before discharge and ask if they have support group. La Leche League is a national group that promotes breastfeeding and assists women who want to breast feed their babies. Ask in your local community about LLLI support. WIC (Women, Infants, and Children) is a supplemental food assistance program for pregnant women and women with babies and young children until 5 years. WIC offices provide prenatal breastfeeding classes and lactation support after giving birth. Talk to your children about what it will be like once the new baby arrives. 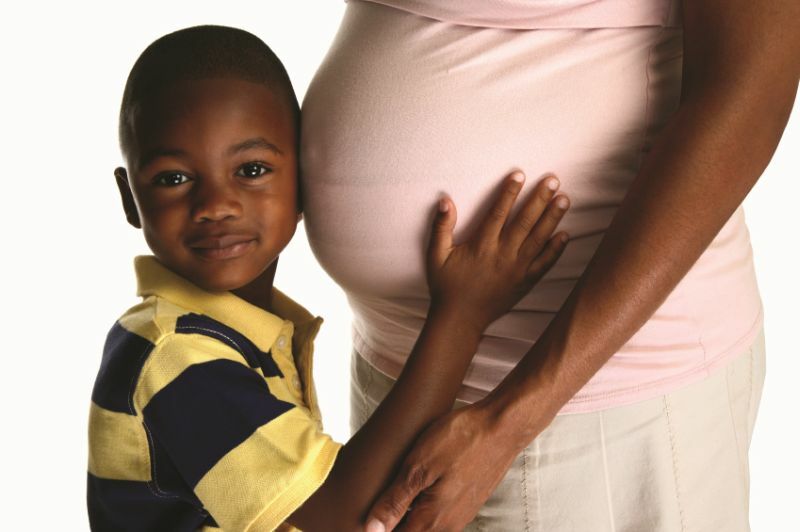 Tell your children about your pregnancy by using books and pictures about how babies grow. You can also show them pictures and videos from when they were first born and tell them what they were like as new babies. If you have friends with new babies, it might be a good idea to visit them. Have your children practice holding a baby using a doll. Think of something fun your children can help you prepare for — like picking out a coming home outfit for the baby. Tell your children often that you love them. Allow them to help with the baby’s care — such as bathing, dressing, and feeding. Make special one-on-one time with your older children when each of them can express their feelings and thoughts to you. Your older children still need time for themselves and attention from you. Have some big brother or big sister gifts for your older children to make them feel special and needed. If you will be using childcare for your baby, find a high-quality child care provider. Finding childcare now will be less stressful than trying to decide after your baby is born. Some programs have waiting lists. It helps to get your name on the list as early as possible. A quality childcare center is a safe and nurturing place with enough qualified staff to care for the children in their center. Child Care Aware provides more information at www.childcareaware.org. Ask for recommendations. Ask friends and family members about childcare providers in homes or day care centers. Visit each location. Stay at least an hour or more and pay close attention to what’s going on. Do the children seem happy and active? Do the teachers pay attention to the children? Is it clean and inviting? Bring a friend along if you want another opinion. Ask questions. How many children is each adult caring for? How many children are in each group? Are you able to visit any time you like? What is their policy for sick children? Choose. Consider all the pros and cons of each location. Think about costs, hours, location, and quality. Stay involved with your childcare center by visiting often, asking questions, and meeting with your child’s caregiver. Ask child care providers questions. Here are questions parents of babies should be asking. Greet each parent and baby warmly; help baby separate by talking about parent leaving; encourage parents to spend time with baby and say good-bye before leaving? Frequently talk with each baby about what the baby is doing and listen and respond when babies “talk” to them? Interact warmly with babies during playtime and play with babies as babies play with toys? Use pleasant voices, smile frequently, and help babies who are hurt or upset? Are there enough caregivers present to meet each baby’s needs with little crying or waiting? There should be at least one caregiver for every 3-4 babies. There should be no more than 9 babies in a group with several caregivers. Does at least one of those caregivers stay with this group of babies for at least a year? Do caregivers have a certificate or degree in child development, early childhood education, or infant care (CDA,AA, BA/BS)? Is the diapering area cleaned and disinfected after each use? Are different sinks used for food preparation and diapering cleanup? Does the feeding area look clean and sanitary? Do caregivers place babies on their backs to sleep? How are the youngest babies, who can’t turn over, placed in their cribs? Are there individual cribs for each baby present with firm, tight fitting mattresses? Does the center support breastfeeding? Are there some soft rugs and other soft areas where children can play with supervision? Do babies who are not crawling or walking have a variety of safe places to play — including open floor space? Are there toys and equipment to encourage safe crawling, walking, climbing, pushing, pulling, and ball play? Will furniture and toys not tip over when babies are trying to pull themselves up? Are there low, open shelves where babies can get safe toys? Are toys and equipment in good repair with no sharp edges, splinters, or loose small parts? Are there many kinds of toys and activities for babies — like books, dolls, blocks, rattles, tubs to fill and pour out, and toys to push or pull? Are vinyl or hard page books available for babies to get on their own? Are there comfortable places where adults — including nursing mothers — can sit and hold babies? Are detergents, cleansers, medicines or other dangerous items locked up? Are parents asked to evaluate the program at least once a year? Will you love her right away? Share your thoughts and concerns with people close to you. Future moms and dads who talk to each other about their fears and excitement are better able to support each other when they become parents. Around the fifth month, you may be able to feel your baby moving around in your abdomen. These movements may feel like a butterfly is fluttering in your stomach. Not all babies are equally active. Some may kick and turn around often, while others are quieter. Many pregnant women find that their babies move more after they have eaten. This is due to the increase in glucose in the mother’s and baby’s bloodstream. Emotional responses to stress and tense situations can also trigger movement in the baby. Stress causes a surge in adrenaline in your body. Learning some ways to relax will help you and your baby. Deep breathing, talking to someone you trust, walking, and listening to soothing music are good ways to relax. Even though you and your partner are busy getting ready for the baby, make time to be together. Setting aside some time — even small amounts — throughout the day and the week, can be very nourishing for a relationship strained by the changes you are both feeling. If you pay attention to this now, it will be easier to do once the baby comes. Finding ways to have fun and nurture your friendship is important. A healthy relationship is the best gift you can give your child. Parents’ relationship with one another is the child’s blueprint for her future relationships. Invest in keeping your relationship strong before and after your baby is born. Get a safe crib and your baby’s clothes ready. No corner posts over 1/16th inch high (so a baby’s clothing cannot catch). No cutouts in the headboard or foot board (so a baby’s head cannot get trapped). Babies can get stuck, strangle or suffocate in cribs that are assembled wrong, have missing, loose or broken hardware or broken slats. If you buy a used crib, check to be sure it meets all the safety standards that new cribs require. You only need 3 things in your baby’s crib: your baby, a mattress, and a fitted sheet for the mattress. Get a car seat and take a safe ride home from the hospital. Install the baby’s car seat correctly or it will not work in case of an accident. Call the local police or a childcare resource and referral agency to find out where to take your car to have the car seat installed. Babies and children should always sit in the back seat. Many cars have front airbags that can hurt children if they open. Do you have to stop exercising after you are pregnant? The answer is “No” for most healthy pregnant women. Doctors recommend that pregnant women without health problems or pregnancy complications can exercise for about 30 minutes on most days of the week. Check with your doctor to see what exercise (and how much) will be best for you. Staying active is important — and so is eating healthy foods. Each day, eat several servings of whole grains, fruits, vegetables, and calcium-rich foods, such as milk, yogurt, and cheese. Cut down on fatty foods, sugar, and salt. The pregnancy and breastfeeding food guide at MyPlate. The Daily Food Plan for Moms can help you select healthy meals options. Some women find that eating more small meals throughout the day is more comfortable than trying to eat 3 regular-sized meals a day. If you need more information about breastfeeding, the CDC has a parent portal.